Prospective parents are welcome to visit the school by appointment, or on our Open Mornings. Dr James Roche (Principal) and Mrs Vania Adams (Head Teacher) outline the school’s principles, curriculum, resources and pastoral care. Visitors are then shown around the school by a pupil. Mrs Adams, Dr Roche, Mr Gilbert (Deputy Head) and Mrs Clark (Admissions Secretary) are available to answer any questions. Gabriella Emery (Head of Nursery Schools) is also available to show prospective parents around the Nursery. 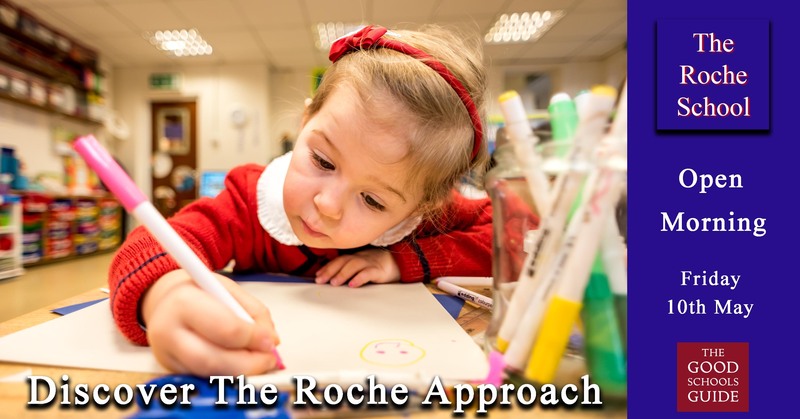 To secure a place on an Open Morning, please contact admissions@therocheschool.co.uk or phone 020 8877 0823.